DNAtix is known to provide the cutting edge technology to the customers for an advance research related to DNA sequences and genetics.Geneticists have been using some of the most advanced forms of technology to produce cutting-edge research of our time. There are many among us who want the information regarding their genetics. But the challenges associated with the process are too many.DNAtix is helpful to users to upload genetic sequences in a very easy and anonymous way. It enables users to carry out genetic tests in a convenient way using technology of DNAtix. They will also get referrals to the genetic tests that are carried and own their own genetic data. 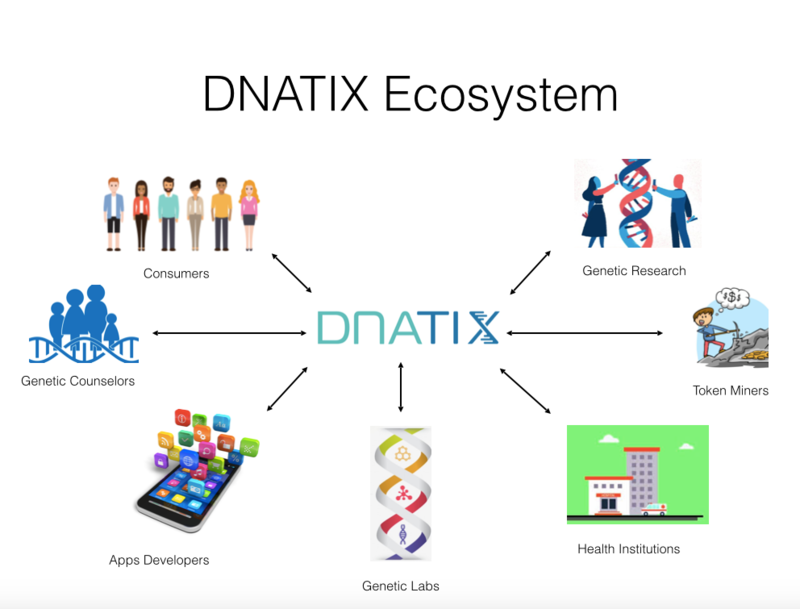 All the information available on DNAtix platform and all tested and verified data available there is helpful for carrying out health management of the user. He/She can manage data health easily with DNAtix. Total tokens generated by DNAtix are 150,000,000 out of which tokens will be allocated for pre and main sale. DNAtix will publish the different wallets addresses for the Pre-Sale and Public Token Sale. It is aiming to sale tokens worth $30,000,000 in total. The DNAtix team is consisting of the experts with extremely good skills in their corresponding sectors. There are software developers, blockchain developers and analysts, marketing and experts. The company has already met its goals set from the starting where the foundation was put up till today where the company has registered itself for the token sale and also released around 8000 tokens already. The journey from establishing the company’s foundation to hiring a skillful team, adopting blockchain technology, transferring DNA sequences to blockchain, etc. have been really smooth and prosperous. Current future plans include introducing 25 new genetic tests to the system. It is on its way to perform an array of genetic tests on DNA sequences using proprietary algorithms developed by the company. The data contains personal information which could have a very negative effect if a wrong person chooses to misuse it. Overall, this is the ecosystem of secure and distributed transfer of the genetics data directly to customers along with the storage facility to bring a new change in the medical field.